'जग्गा जासूस' एक म्यूजिकल फिल्म है यानी डायलॉग्ज भी गाकर ही बोले गए हैं. ये फिल्म हिंदी सिनेमा में अपनी तरह की पहली फिल्म है और इस एक एक्सपेरिमेंट कहा जा सकता है. 'जग्गा जासूस' कहानी है जग्गा (रणबीर कपूर) की, जो बादल बागची का गोद लिया हुआ बेटा है और अचानक बादल एक दिन जग्गा को छोड़ कर चला जाता है, ये कहकर की वो जल्दी वापस लौटेगा पर वो नहीं लौटता. How Competitive Are Ranbir Kapoor And Katrina Kaif? 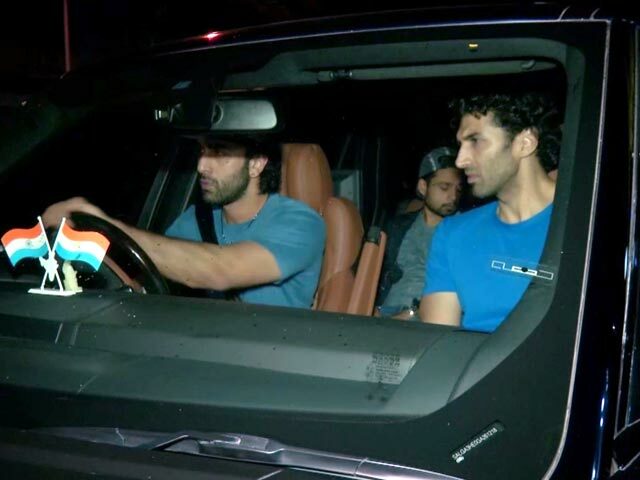 Are Ranbir Kapoor And Katrina Kaif Really Trolling Each Other? Anxious and scared Ranbir Kapoor admits he was a bit ambitious about producing Jagga Jasoos and says he would like to venture into direction. Ranbir Kapoor says that 80 per cent of the rumours are untrue. "I have seen so much information come out about my life which is completely untrue." Ranbir Kapoor and Katrina Kaif have been doing back-to-back interviews for their film Jagga Jasoos. 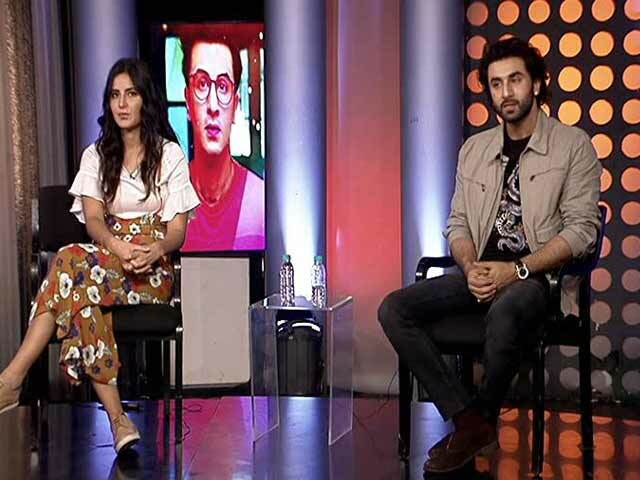 In an interview with ndtv.com, both the actors shared what they like about each other's work and when asked what will they miss about Jagga Jasoos once it releases on July 14, they both had different but honest answers. Here's a glimpse of Jagga Jasoos co-stars Katrina Kaif and Ranbir Kapoor's amazing off-screen rapport. During an interview with NDTV, Katrina dismisses Ranbir's efforts to gift her flowers, grading him negatively. We gave Ranbir Kapoor and Katrina Kaif a puzzle, which they had to solve while they spoke about their film Jagga Jasoos. Both seemed quite competitive as they tried hard to solve it before one another. Watch the video to find out who won! Ranbir Kapoor said that there's been a lot of conjecture about his relationship with Katrina and whatever interviews they're giving is not designed to take revenge. "Riding the ostriches tops the list," of the weird things Katrina Kaif said she and Ranbir Kapoor had to do for Jagga Jasoos. "Specially when Katrina sat on the ostrich, that guy went mad," added Ranbir. Jagga Jasoos co-stars Katrina Kaif and Ranbir Kapoor revealed something about their much talked-about off-screen rapport and we quote Katrina: "We come, we sit on these chairs and we just talk. I think maybe not with a lot of filters." The stars of Jagga Jasoos Ranbir Kapoor and Katrina Kaif are on a promotional trail. The two actors shared this adorable video where they are dancing to the peppy number Galti Se Mistake from the film. Check it out! Ranbir Kapoor and Katrina Kaif made an appearance on a singing reality show recently to promote their upcoming film Jagga Jasoos. Standing right next to his co-star and former girlfriend Katrina Kaif, Ranbir admitted that he keeps making mistakes. Actor Ranbir Kapoor spoke about his equation with his Jagga Jasoos director Anurag Basu. The 34-year-old actor said that the 'Red Circle Theory' got him and Anurag Basu together. "He turned out to be mad hatter. He has this imagination and belief and I'm just on this great adventure rollercoaster ride with him," said Ranbir.